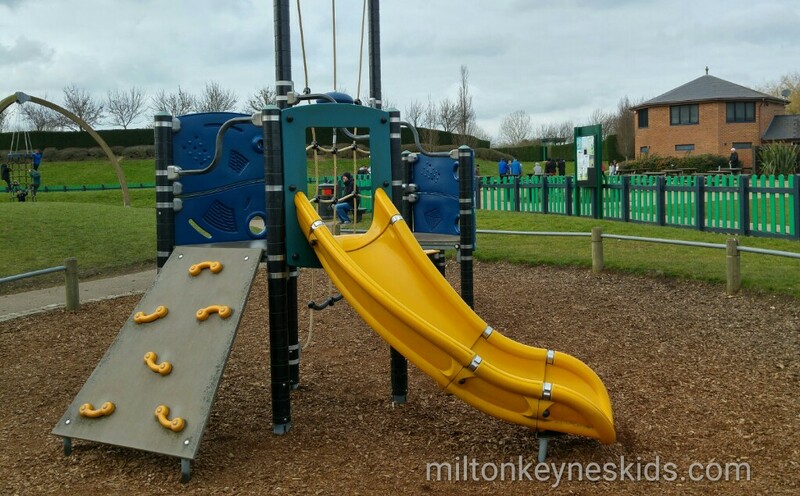 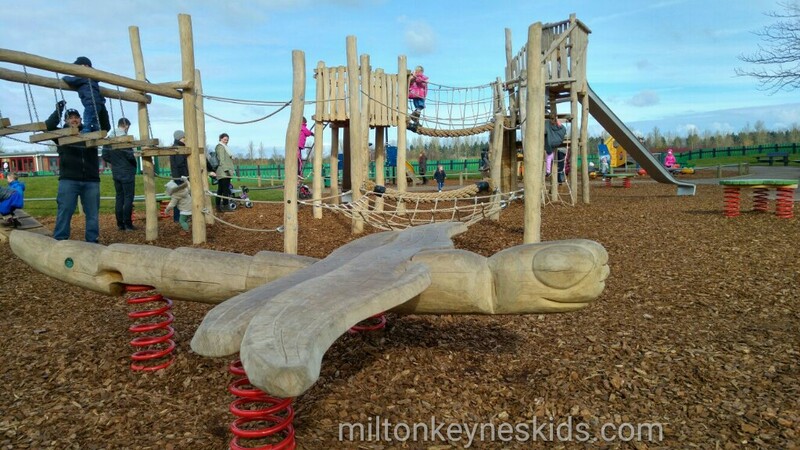 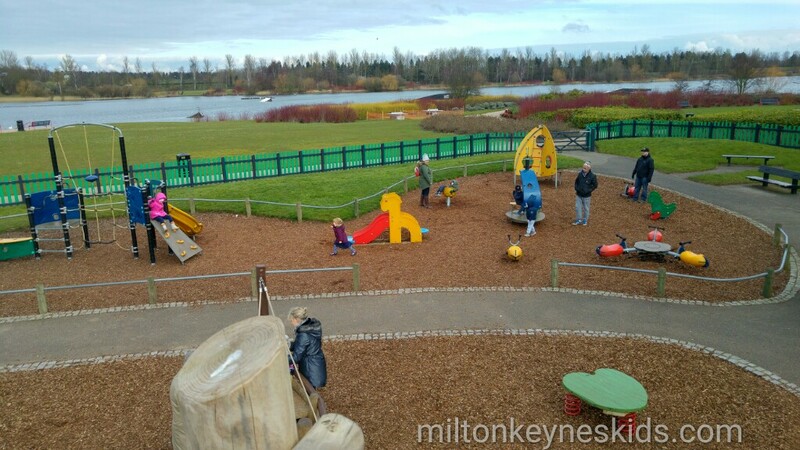 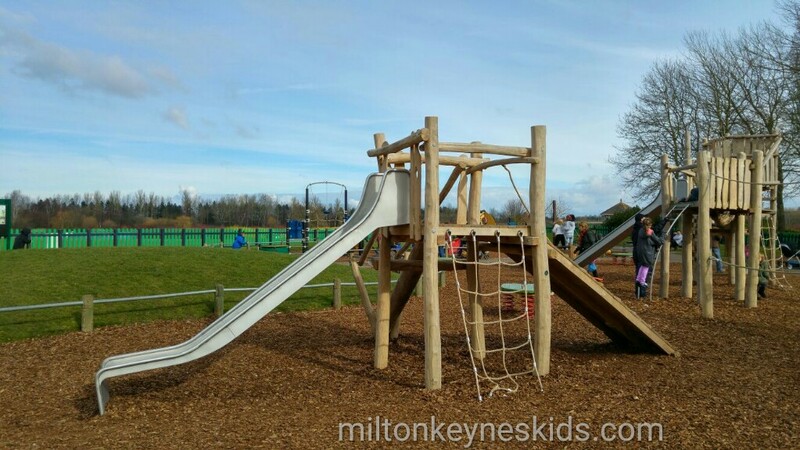 The play area at Willen Lake was re-vamped at the end of October 2015 and now includes an excellent wooden climbing frame and pirate ship. 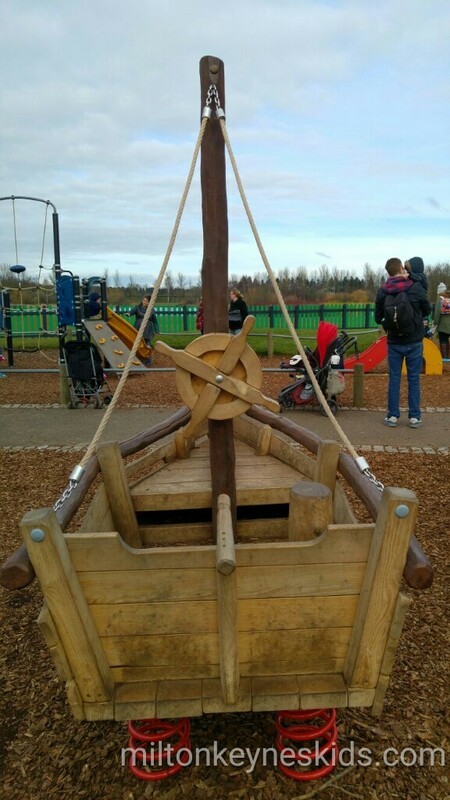 My toddler is 2 and a half (as I write this) and with assistance was able to enjoy this area. 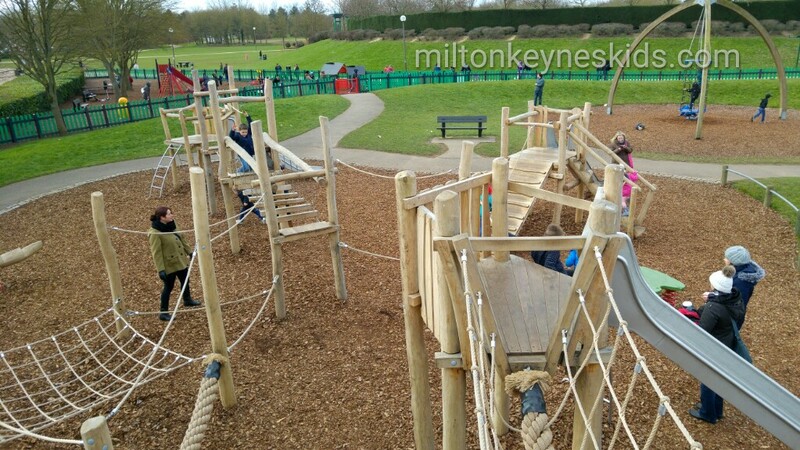 He likes the toddler areas on both sides – one has a little house, pirate ship, see-saw, slide and swings. 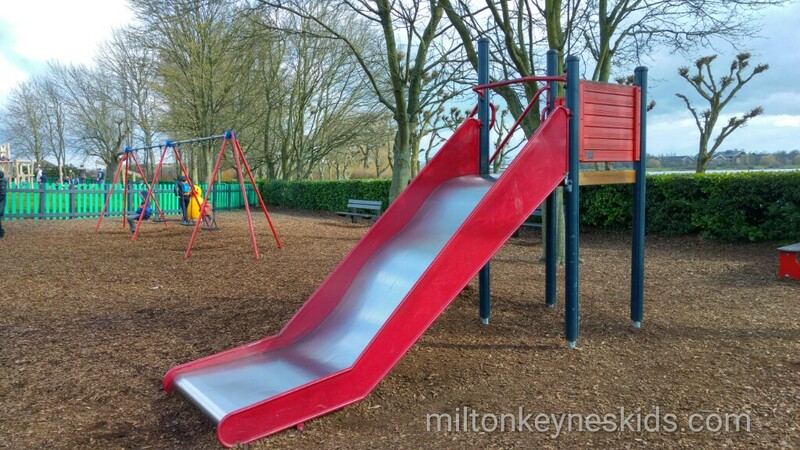 The other has a couple of smaller climbing frames and some rockers – suitable for little ones. 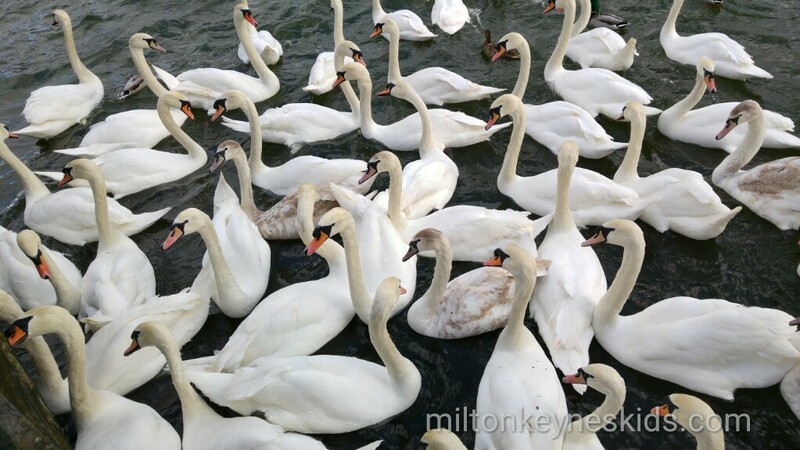 We like going there to feed the ducks and swans (with de-frosted frozen peas!). 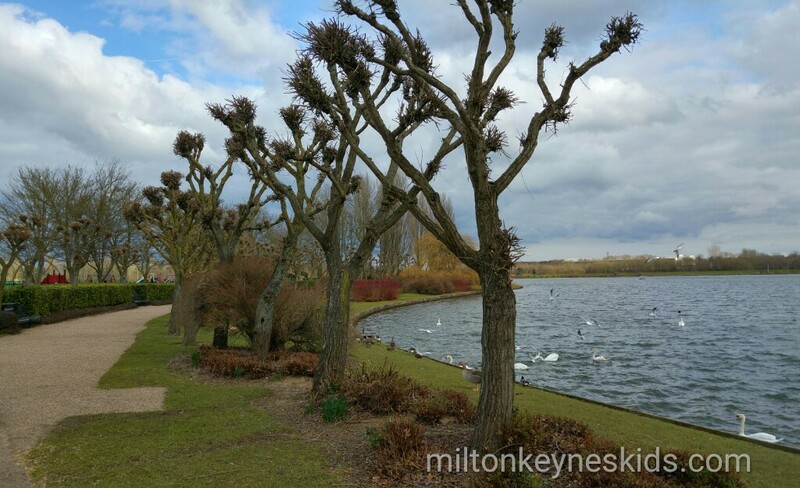 You do pay to park there (March 2016 prices – 50p for up to 30 mins, 90p for up to 1 hour, £1.40 for up to 2 hours, £2.40 for up to 4 hours, £3.80 for up 8 hours.) 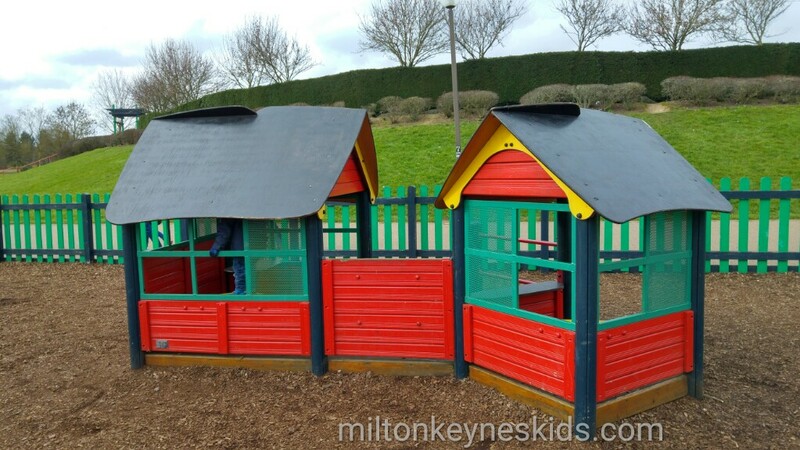 We are looking forward to the return of the miniature railway which runs at weekends and school holidays between April and October. 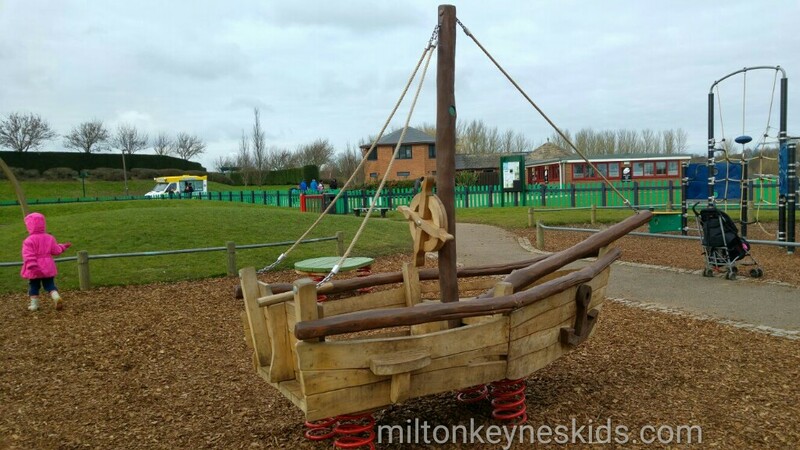 There are loads of extra activities older children can do there which you pay for including pedalos, wake-boarding, windsurfing, sailing, high ropes, hamster-zorb and cycle hire. 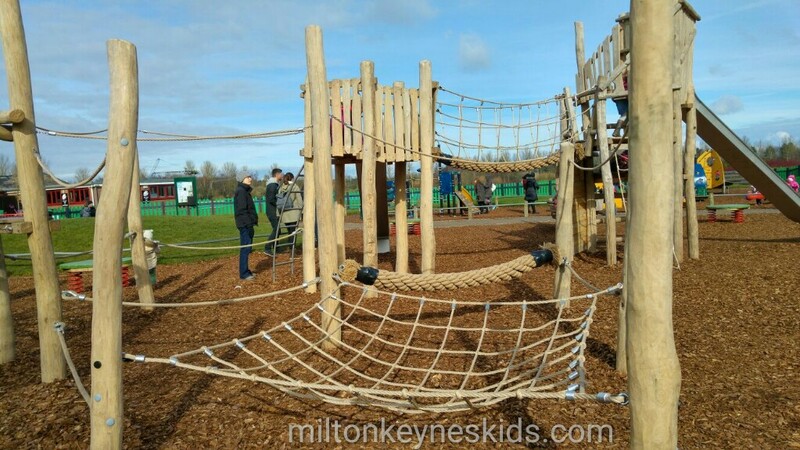 Enjoyed reading this review? 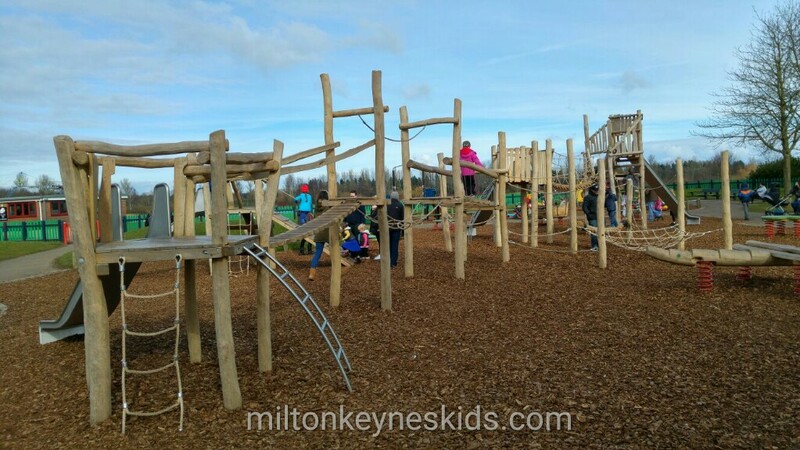 Looking for more ideas of places to take the kids? 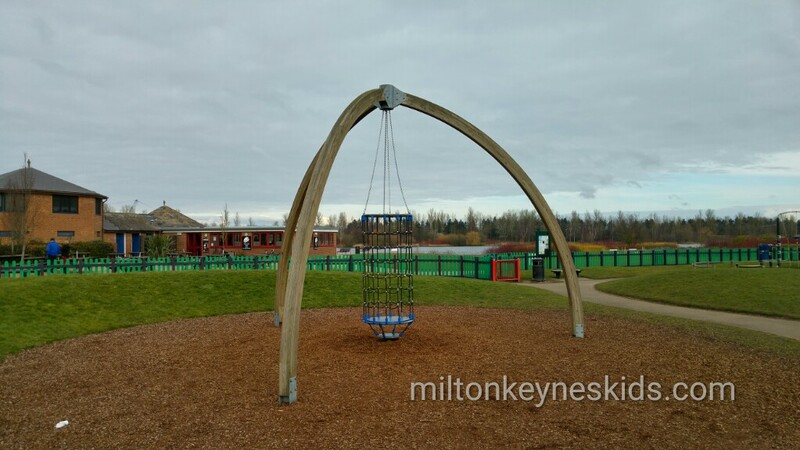 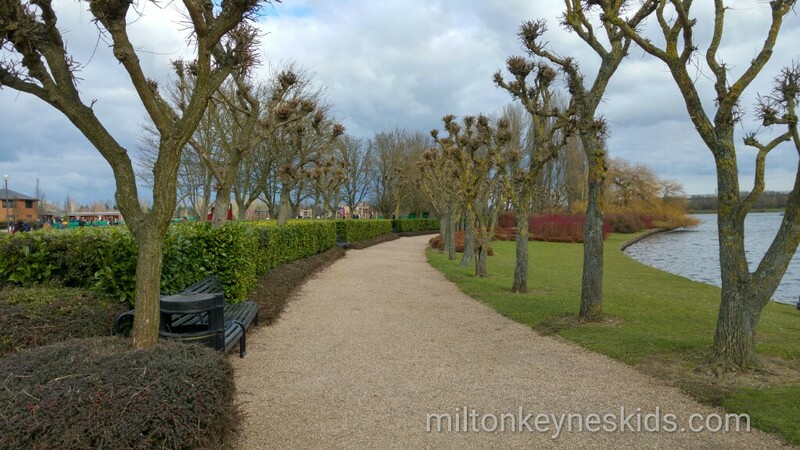 Subscribe to Milton Keynes Kids and you’ll get an email every time somewhere new appears on the website.